As handy as the Apple TV set-top box has become, controlling the device on the minimalist remote control can feel extremely awkward. However, that fiddling with the finger-sized silver remote (and the endless searching for it between couch cushions) may be coming to an end, reports this weekend have revealed. 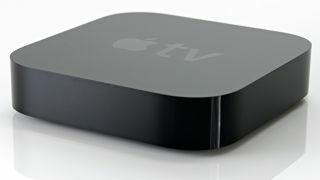 9to5Mac has discovered that the latest iOS software Beta for second and third generation Apple TV has a Bluetooth menu and the opportunity to pair keyboards with the set-top box. The arrow keys on the keyboard will replace the direction buttons on the remote, while typing searches and requests will, naturally, become infinitely easier than using the on-screen keyboard. At the moment the alternative to using the skinny silver clicker is the Remote app for iOS devices, which does makes things a little easier. The introduction of Bluetooth pairing will also make it possible for third-party manufacturers to begin producing peripherals for the device. There's no news yet on when Apple will officially roll out the Bluetooth update for all users.